1. You got into BMX riding at age 12. How did that come about? Were you into biking even before that? Any other sport you were also involved in? What made you want to turn professional? I was in love with riding bmx ever since I was a little kid. It started as a hobby and when I grew older, it became part of my lifestyle. There was this bike spot in front of my school. Every recess or snack time when I was in elementary school (grade school), I often see teenagers riding their BMX and doing tricks, I was amazed whenever I watch them. I got really curious on how they were able to do those gnarly BMX tricks, I never thought it was possible and that made me even more crave on learning how to ride and perform tricks with my BMX. From then on, I made my BMX my career and I was unstoppable! I tried other sport genres when I was younger like basketball and volleyball etc... I even tried playing billiards too, but my heart really belonged to BMX. I was hooked and addicted to riding my bike. I feel freedom whenever I get to nail a trick. For me, BMX has no rules! You can do whatever you want to do (as long as you wouldn't cause trouble) and you can also express yourself and what you feel when riding a BMX. . " Riding BMX is like a mirror, whatever you do is a reflection of yourself!" Many people think that I wouldn't succeed with being an extreme sports athlete, they always say "itigil mo na yan, wala ka mararating o mapa-pala sa pag B-BMX mo." This was my motivation, not only to prove to others that I can become a Professional (Pro) BMX Flatlander but to prove to myself that I can achieve my dreams. I worked really hard to become a Pro someday, I practiced everyday and night, I focused on my goal. I think, turning to Pro status was the coolest thing that ever happened to me. 2. Were you self-taught? Were there other bikers from whom you learned? What were the first tricks and techniques you mastered? Yes, I learned by myself. Whenever we have a jam sessions, I watch and observe the older kids how to do the tricks. I try doing the trick by myself, I was like a copy cat when I was still learning. I also watch my idols on VHS then YouTube, Viki Gómez is my favourite world champ and I am always motivated on how he's able to create original tricks. My first trick was called "180 Flip" it's done by flipping the bars to 180 degrees repeating it for several times. One of the tricks that I also learned first was called "bunny hop" then I eventually mastered all the basic tricks in BMX Flatland. I also make it a point that I am able to originate my signature tricks. 3. What was your first BMX bike like? Details? Where did you get the parts? Did you get to customize it? 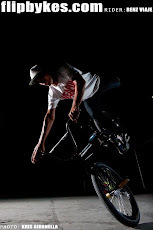 My first BMX for freestyle was a 1999 Dyno Compe frame with a fork, stem, and seat post which I bought for a very cheap price at ₱1,500 from my neighbor, Robert, who is also into BMX. He was the one who introduced me to the other local riders in Lucena City, my home town. Robert also brought me to the spot where we usually have our BMX sessions. On year 2000, I learned all the basic tricks in BMX Flatland with that bike plus I gained several lifetime friends. Gradually, I was able to customize my bike to make it lighter because BMX parts before were really heavy. At that time too, I didn't have the money to upgrade my bike so I learned how to make DIY spare parts from scrap metal and recyclable parts from broken bikes. 4. What kind of bike do you use now for competitions? How is it different from your first one? Any other bikes you've had in the past? 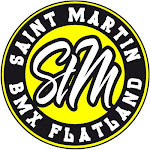 I'm using a full set up of St. Martin BMX Flatland, this company is one of my sponsors too and I am proud of it. The frames that St. Martin BMX make, for me, are perfect for Asians. They make it short as to adjust with the user's limb length for ease of doing Flatland tricks. There were big differences with the bikes I used then and now. First, the weight -- old school BMX bikes were really heavy comparing to bikes nowadays which are lightweight and some are actually made of aluminum alloy. Second, the geometry -- bikes before were big and the frames were long. The standard sizes before were patterned after the bikes made in the USA, it was difficult to use for those who have short limbs. The new school BMX bikes have different sizes now depending on the height of the user or the comfort level of the rider. As an example, My height is 5'5" and the size of the frame I use is 18" -18.9 TT. 5. What was the first competition you joined locally? How about abroad? How did those experiences go? My first local competition was in Sariaya, Quezon. I think it was on year 2002. I got 6th Place. My first competition abroad was on 2009 in Malaysia. I got 4th Place in Open Class Category. It was an awesome experience and very memorable too. My first international competition was the start of how I was even more motivated to progress my BMX career. I also feel lucky to meet other riders from different countries, some have become my close friends. 6. 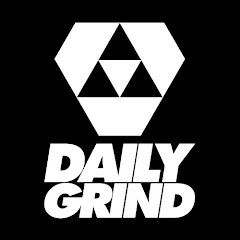 How did you become involved with Flipbykes BMX Shop? What kind of impact has the shop made in the careers of local riders? 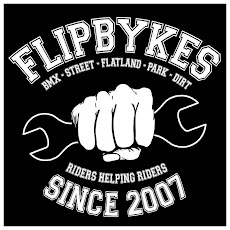 Any riders affiliated with Flipbykes that the local BMX scene should look out for? On year 2005, I met Joel Gonzales (Founder of Flipbykes) at a competition at Camp Extreme in Cubao, Quezon City. Joel is also a Flatland rider (Flatlander) like me. On year 2007, Flipbykes was launched and they got me as their brand ambassador or colloquially known as a sponsored rider. Flipbykes was my first sponsor and I was super stoked, I still remember the feeling of being able to represent Flipbykes to the local BMX scene in the Philippines back then. Even now, I still feel blessed that since day one, Flipbykes had been supporting me throughout my BMX career. Flipbykes is very influential and they have a huge impact on local riders here in the Philippines. Firstly, the product and financial support that Flipbykes extend to their riders are more then enough to help a BMX rider's career. Secondly, Flipbykes also teach us how to become professional riders not only with the athletic side of BMX but the career management as well. Thirdly, Flipbykes always push us to our limits and motivate us to go for the gold. 7. What happens during "Project: Weapon BMX Jam" and "Flipbykes Flatmaster (International BMX Competition)"? What do BMX riders and fans get from those gatherings? Have these been regular events held by the shop since 2007? What part do you play at those events? These two events "Flipbykes Flatmaster" and "Project: Weapon BMX" kicked off the new wave of highly skilled BMX riders all over the country. Most BMX riders have no platform to show their skills, it's a good way to prove their potential and also to meet up and share ideas. These events were "do-it-yourself," no major sponsors involved and most of the budget were pulled out from Flipbykes' fund-- the main objective is keep the BMX scene alive. Both are big events and competitors are serious about joining the competition. The only difference between "Project: Weapon BMX Jam" and "Flipbykes Flatmaster" is that it's categorized as a national competition while the latter is an international competition. Flatlanders from countries like Malayasia, Singapore, Japan and Canada came to the Philippines to join the Flatmaster on year 2009. Most who came were world champions like Shintaro Misawa and York Uno (both are from Japan), another world champion from Canada-- Jean Francois Bouliannedating who's a rider of Odyssey. I competed at Flatmaster on 2007 then later that year Flipbykes brought me in. There was a big hype from 2007 up to 2010, media coverage and social media helped boost the popularity of BMX then major sponsors started flooding in, mostly x-deals with "no cash" involved. We thought it was great, the hard work started to pay-off but because of politics within and outside the scene, Flipbykes had to lay-low in organizing these kind of events. Some can't comprehend that we don't profit from these events, so we moved into touring nationwide instead. Thus, the road trips begun! We got us a pick-up truck and a van, we just hit the road. The goal is to bring the events to the riders, small jams and even BMX clinics for the kids and beginners. It was pure fun. You can see riders helping other riders, no sponsors, just riders for riders. Sometimes riders appreciate smaller events organized by riders with decent value (key word is "value" not the monetary amount) of prizes rather than a big sponsored event with little or no prizes at all. Let's be honest here, what's the point in busting our butts and all the scolding we get from our parents saying "BMX is a waste of time!" if they almost always treat BMX events like that? But still the best prize is the recognition and respect we gain from our peers. Flipbykes events are one of the most awaited gatherings of local and international riders who share the same passion and motivation. Everyone who wants to have a good time, meet other riders, and enjoy big parties like we do are always welcome to join us! In some events, I participate as a contestant but most of the time, I'm part of the organizing team. I usually do the emceeing or I'm one of the judges. 8. How did you prepare for the first Nat'l BMX Championships? What was going through your mind as you went from the qualifiers to the finals? Whenever I'm in a competition, I focus on aiming to qualify. After I qualify for the finals, I give all my best to win the competition. I zone out all distractions and concentrate on getting the gold. 9. What tricks/moves were in your winning routine? Anything that didn't go according to plan? I think my winning routine was doing technical tricks like "Cross Footed Half Hiker Switch to Boomerang to Pedal-5" and my original moves added bonus points too. Yes, there was. Actually, every time I join a contest, I still feel anxious. I keep in mind that I am competing with myself and I have to beat my previous score or rank. I usually plan to pull off all my tricks but sometimes I end up "freestyling" and most of the time, I am satisfied with the outcome. 10. How do you think problems like that can be better addressed in the local biking community? I posted that Facebook status because I wanted to broadcast our sentiments to all the organizers who make BMX events that they should be fair in giving the prizes to the winners. This was not the first time that this happened, it already happened several times before. This was why the local athletes of the BMX industry, including me, were really disappointed. I took the courage and just voiced out the complaints of my fellow athletes, it's not acceptable for me... seeing that my peers endure financial burden yet not compensated properly. I love BMX, we all do. We just wanted to raise the bar of standards of the Philippine BMX scene for the future of this industry. I see the next generation to be more competitive locally and internationally. In order for the "young ones" to achieve this, change in how the "elders" handle the scene would be the key-- capitalism, BMX politics, dissing the beginners, superiority complexes... These were what I have witnessed and experienced since I started BMX, I want to be a catalyst for change. I want to have equality among the BMX riders and how they are treated by companies who make money out of our skills/talents. BMX is not an easy sport, we spend so many hours daily to perfect our skills. It takes years to achieve our goals as a BMX athlete. We sweat blood and endure pain to discipline ourselves in order to be worthy to represent the Philippines in international competitions. 11. What other issues do local riders face that hinder their professional growth? As someone with 15 years' experience in the industry, how do you think those can be addressed? I think the number one issue we have in the extreme sports scene is the LACK OF SUPPORT from the Philippine government. Issues like finding sponsors for those athletes who are worthy, financial constraints, BMX parks or a decent venue for practice, among others are the usual hindrances. International competitions for professional levels are usually done abroad. It would be really expensive for an athlete, like me, to be able to compete overseas and represent the country especially if he or she did not get monetary support from the government/sponsors or any form of support per say. We usually use our own money for funding our international competitions, we save up for it. It is also important for us to win the nationals because the purse prize we win is what we usually use to pay for our airfare. I believe that the "support" issue can be addressed once our government would recognize that BMX and other extreme sports are also of value. Even if extreme sports are not considered as an Olympic event, many Filipino extreme sports athletes give honor to our country. To name some legends would be-- Armand Mariano who have won several international competitions and Mark Schultz who won second runner up in Indonesia, both are athletes for BMX park. For Skateboarding, we have our gold medalist Ansey Flores. We also have Totong Yangco, Noel Cosinas, and Benjie Estanislao for Aggressive In-line Skating. 12. How has Philippine BMX changed since you began riding in 2000? What kind of future do you see for the industry? What do you want to see more of? What do you want to see less of? The Philippine BMX has changed greatly since I have started my BMX career. There are a lot of progressive BMX riders who are a lot better nowadays compared to the skill set before. 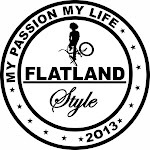 I want to see more kids riding BMX, especially in my discipline-- Flatland. I want to see less politics and trash talks. Bike Check- St Martin Metro Line!